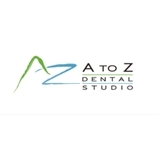 A to Z Dental Studio (Fairfax) - Book Appointment Online! We are a group of providers with different specialties and backgrounds coming together to provide each and every patient with the best care that they expect and deserve. Our team is dedicated to bringing excellent, comfortable and personalized care and service to make your visit as pleasant and convenient as possible. Our patients will be able to receive almost all the dental services they need in one location. As a practice, we are advocates for preventative care and dental education as pillars for optimal dental health. We focus on thorough exams that will include the evaluation of teeth and gums, performing oral cancer exams, and taking radiographs when needed for diagnostic purposes. I appreciate the friendliness of the staff, and the late afternoon appointment. The experience was very efficient from start to finish. I will definitely be back!